A nice long sock designed to support the foot, where it acts like an extra support when wading. As a bonus the materials in the sock helps in minimizing unwanted odors. 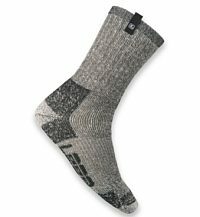 A no compromise sock made especially for a technical cut/shape and flat lock seams for a perfect fit. 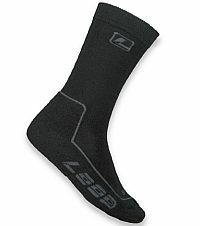 Loop Trekking Socks cover your needs, regardless of temperature and activity level. 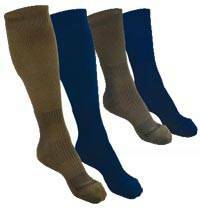 Made of soft and durable terry wool, this is the perfect allround sock. 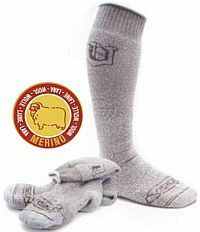 Merino wool does not make your feet feel clammy  while preventing odour from penetrating into the socks. 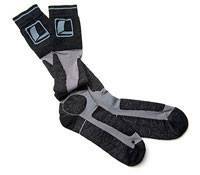 Warm socks that cover your needs in low temperatures and at low activity levels. These socks are made of durable terry wool that insulate very well. They are soft and does not make your feet feel clammy  while preventing odour from penetrating into the socks. Rib-knitted shaft provide best fit. Contains Lycra that gives the sock good elasticity. Knitted Boot Sock (pr) 9"
Knitted Wader Sock (pr) 14"